Phang Nga is the province north of Phuket and the beach town of Khao Lak becomes an increasingly popular alternative for people who seek a more quiet, laid back and generally more authentic Thai holiday experience. 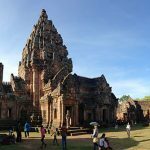 I have already published several posts on things to do at day and night as well as where to meet Thai girls over there that you can all find here, and in today’s post I’m going to cover the different ways on how to get there from Phuket. There is currently no airport in Phang Nga so the closest you can get from Bangkok is to fly to Phuket International Airport. And there’s also no railway station which means there are only two travel options (unless you want to pay a taxi driver to bring you up there for 1,700+ Baht). If you decide to travel by bus, you need to take the airport shuttle bus to Phuket Town first (150 Baht). The ticket booth and departure is right outside the arrival hall. You just need to tell them “bus to Khao Lak” and they will drop you at the bus terminal. Note: There are two bus terminals in Phuket and most coaches for Khao Lak leave at the newer “Bus Terminal 2” (see map below). Once there, you buy your ticket to Khao Lak which is around 80 Baht and the trip takes about 1.5 hours, depending on the traffic in Phuket which can be quite terrible these days. If you already stay in a hotel in Phuket you can also book a minivan for 200-300 Baht and they are usually able to do the trip in less than one hour and make a more convenient journey as they pick you up right from your hotel. Just enquire at the reception and they’ll definitely help you book a ticket (otherwise there are plenty of small travel agents everywhere). The other travel option is that you do it like me and rent a motorcycle and drive up there by yourself. The distance from Phuket International Airport to Khao Lak is 85 km. There are a few bike rental shops outside the airport (you need to walk out) along the main road, but the quality isn’t nearly as great as in Phuket Town or Patong. Prices are also higher because the supply is so poor. Standard rates are 300 Baht per 24 hours and you’ll need to leave an ID with them as a deposit (don’t give them your passport as you’ll need it to check into your hotel in Khao Lak). The ride to Khao Lak from Phuket Airport takes about one hour and a half, depending on how fast you drive. I really recommend you doing it this way as you’ll get to see more of the landscape and are just more flexible in your schedule. And you’ll need a motorcycle up there anyway if you really want to see and do something. 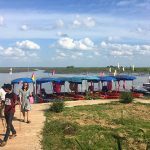 Few people take a trip to the capital city of Phang Nga, even though there are really a lot of cool things to see and do. Like a huge limestone cliff that looks like an elephant with a cave inside, several beautiful view points, temples on the hills and more. Again just check out Phang Nga in my travel section and hopefully you’ll get some incentives to visit there. Again if you don’t feel comfortable enough (or just lazy) to drive up the 63 km from Phuket Airport to Phang Nga Town by yourself, then you’ll need to take the shuttle bus to the Bus Terminal 2 in Phuket (150 Baht) and from there you can hop on a bus that takes you directly to Phang Nga in about an hour. Depending on the traffic situation and how often they stop along the way to let people in. There are more than a dozen of coaches serving this route daily, so you never really need to wait more than 45 minutes or so until the next bus leaves. The fare is around 80 Baht. The way to Phang Nga is similar to the one to Khao Lak. 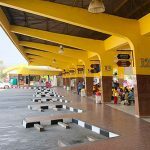 You would first leave the airport and drive north along the main road, cross the Sarasin Bridge (which connects Phuket island and the main land) and then straight for another 4 km until you reach an intersection. Here you turn right and drive all the way straight to Phang Nga Town (if you go to Khao Lak you would turn left here). 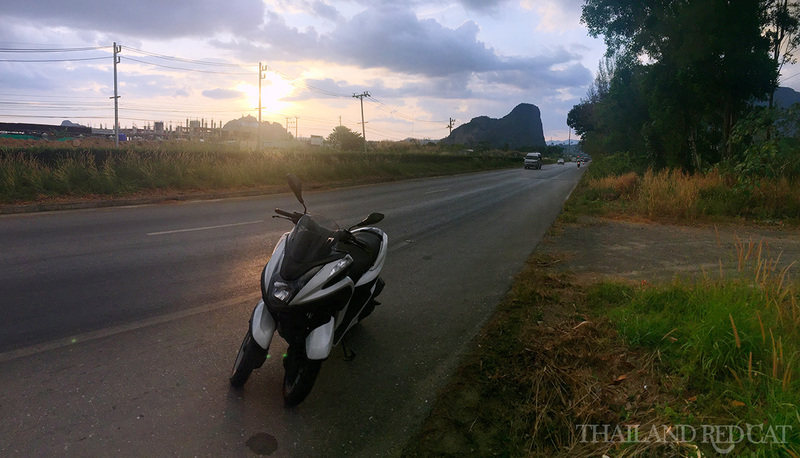 I hope this gives you a good overview of the best ways to get to Phang Nga and Khao Lak from Phuket and if you have done this trip already, please feel free to share your experiences below in the comments section.